Who wants to live in a country brimming with dozens and dozens of ethnicities? You might be thinking of the cities in the United States of America (USA), close, but not quite. We’re talking about a country here that could just as well be another land of opportunities. Particularly, we will zoom our lenses to one of its provinces, a vibrant setting where classic art and modern living mingle elegantly. A place where aside from English, another language predominates – Bon Apetit! Merci! Mademoiselle! Yes, we’re talking about the sultry language of Coco Chanel and Louis Vitton – French. But not in France, mind you, but in Canada Quebec, Canada. Second, by contributing to the labour force, considering that most immigrants are young and have many more working years ahead of them. This is ensured by the government by setting eligibility criteria that gives higher points to potential immigrants with younger age ranges. Third, and in connection to no. 2, immigrations address the issue on the ageing population of Canada by increasing the ratio of workers to retirees, thus easing the burden on social services. Analysts keep arriving at a conclusion, that Canada needs to grow its population more to further strengthen its economy. As Suri Akhila said in his article in timesofindia.indiatimes.com/, Canada needs immigrants as much as immigrants need Canada. 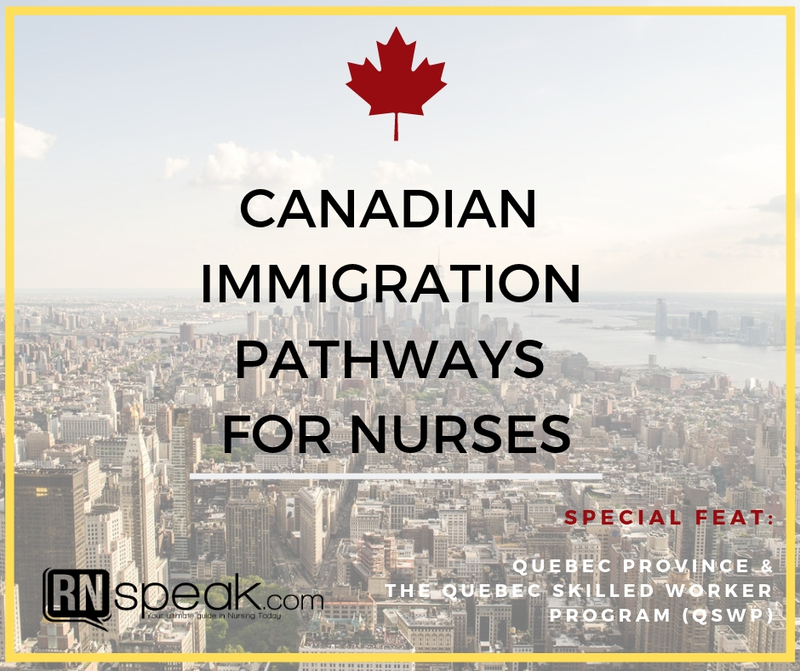 So, what are some of the immigration pathways for nurses in Canada? Canada offers various immigration pathways for those who want to reside in the beautiful country. They offer enticing opportunities for migrants and their families from career, education to health care. This is a system used by the Canadian government to fast track applications for permanent residency for those deemed most likely to succeed using an eligibility screening based on age, education, work experience, language proficiency (French or English) and financial capability. Visit the government website https://www.canada.ca/en/immigration-refugees-citizenship/services/come-canada-tool.html for the screening. It will only take minutes to check your eligibility. The benefit of the express entry is that processing times, as the term express denotes, are fast. The system generates a Comprehensive Ranking System (CRS) Score for applicants who have submitted their profiles and then puts them in a pool of applicants. Those at the top ranks are picked first. To increase ones chance of being picked, one has to constantly work to increase his/her score. If a tie happens, the tie-breaker will be the date of profile submission. The fact behind this program is that studying and earning a Diploma in Canada actually increases ones viability to find work in Canada compared to earning a diploma elsewhere. This is why the Study 2 Immigrate program has become an option for many skilled workers including nurses. Aside from increasing ones viability, another benefit of this program is the very fast processing time. If you check this website, you can accurately determine the processing time for your country: https://www.canada.ca/en/immigration-refugees-citizenship/services/study-canada/study-permit.html. For example, if you come from the Philippines, the processing time of ones application is 7 weeks. Firstly however, you have to be eligible to get a study permit. And you are only eligible if you are enrolled at a designated learning institution (DLI) and you can prove that you have enough funds to pay for your tuition fees and living expenses as well as return transportation for yourself and your family. You also have to undergo medical screening to see if you are fit to study and show proof that you are not a risk to Canada and you will leave the country as soon as you are done. That is usually 90 days from your date of completion. This program was created on the premise that each province or territory has its own labour market needs. For example, British Columbia may need more university professors and teachers and thus have majority of their nominees with related skill sets. The national government of Canada has given authority to these provinces and territories (PTs) to nominate individuals, who also want to live, work and settle in Canada provided however that they have valid job offers. Provinces with PNPs include: British Columbia, Alberta, Saskatchewan, Manitoba, Nova Scotia, New Brunswick, Newfoundland and Labrador, Ontario and Prince Edward Island. The Quebec Immigration has 3 programs: the Quebec Experience Class, the Quebec Business/Entrepreneur Program and the Quebec Skilled Worker Program. However, since we’re looking into the pathway for nurses, we will focus on the QSW. You might ask, why Quebec of the many provinces and territories of Canada? Quebec is a province with many things to offer. Here are some interesting facts about the largest province of Canada. It is known as “La Belle Province” or The Beautiful Province because, well, go figure. It is famous for having thousands of lakes especially along the Canadian Shield region, one of its 3 regions – the other 2 being the St. Lawrence River Valley and the Appalachian Region. Quebec neighbors the US States of Maine, New Hampshire, Vermont and New York. Quebecers are known pacifists, opposing many wars across history. (I personally like that fact). “Le Monstre”, Canada’s 2nd largest roller coaster which is 40-meters tall, is found in Montreal, Quebec. Peanut Butter was first patented by an Anglo-Quebecer pharmacist in 1884. Montreal is home to the world-famous Cirque de Soleil circus troupe. And lastly, Quebec has an underground city!! Starting to like the place? 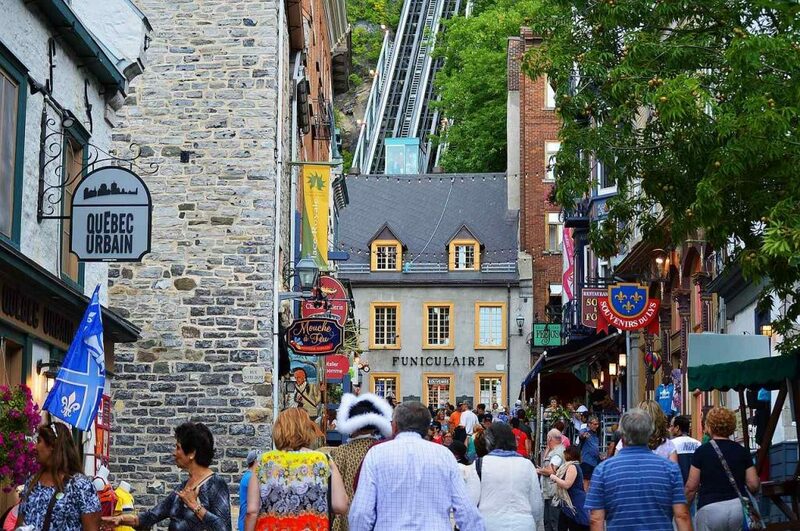 However, Quebec also has its share of problems including a declining population and a shortage of skilled workers. In fact, the province is projected to have a shortage of around 20,000 nurses by 2022. This is a large-scale setback that the government plans to resolve by attracting more newcomers to the land. Personally, this writer is an applicant of the QSWP who, at this point in time have only finished the Medical Exams and waiting for the request for passport to be followed by the Visa Stamping. I wish to share with you what I know about the steps in applying. However, since my date of application, changes have been made into the system and we will definitely look into that later. -These are indeed real helpful services they’re talking about. I received an e-mail from www.care4nurses.org asking if I wanted to participate in the FREE (that’s right) Pre-arrival Support Services (PASS) and avail of any or all of the following: online courses on occupation-specific language, webinars on the Canadian Healthcare system and nursing registration process as well as one-on-one case management for information on referrals for language, employment and settlement services upon arrival in Canada. All one had to do to avail of this, is to fill up a registration form in the pass4nurses website. The life expectancy at birth in Quebec is among the highest in the world at 81.8 years. Perhaps this can be partly attributed to the fact that Quebecers health and welfare needs can be taken cared of for free by the government through the Quebec Health Insurance Board called RAMQ or Regie de l’assurance maladie du Quebec. This means that essential medical care except cosmetic treatments like plastic surgery are free for all who have registered with RAMQ and obtained their Provincial Health Insurance Card. 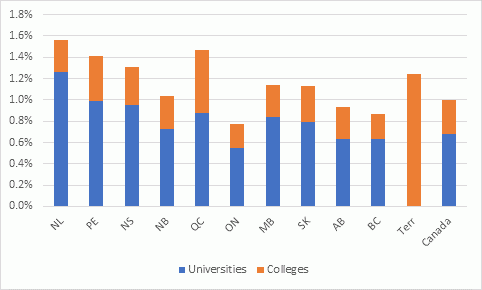 Alex Usher, an international expert on student financial aid and quality measurement in post-secondary institutions, recently wrote an analysis to the question of “Which provincial government in Canada spends most on post-secondary education?” As seen in the graph, Quebec rises high in terms of % of spending based on their ability to pay, in Economics, based on their Gross Domestic Product. The 2015-2016 graph shows Quebec spending above 1.4% of its GDP to post-secondary education, bested only by Newfoundland. “Every person is entitled to the preschool education services and elementary and secondary school instructional services provided for by this Act and by the basic school regulation made by the Government under section 447, from the first day of the school calendar in the school year in which he attains the age of admission to the last day of the school calendar in the school year in which he attains 18 years of age, or 21 years of age in the case of a handicapped person”. Yes, public schools are usually free for residents of a place up to the post-secondary but in Quebec, school is free to all regardless of immigration status. This with the Passage of Bill 144 just this year. Parents only have to present a proof that they live in Quebec before they can enroll their children for free to primary and secondary schools. Prior to this, enrolling one child in primary school costs parents 5,000 dollars year and 7,000 a year for secondary. Now, the most important question in this article: How does one become an immigrant in Quebec? Considering that we have done a little research on Canada, its immigration pathways and finished getting to know Quebec province and what it has to offer, let’s proceed to the specific set of information we need to get there to do some snow shoveling and make a snowman (kidding aside), to become a full-fledged immigrant. I personally took the first option, being scared then that I wouldn’t make it alone. Though, many people had done it on their own. Its really depends on you. Which ever path you plan to take, you have to prepare and work it patiently. Everything starts with an eligibility check. My guide/documenter in the agency asked me to submit a resume so she could calculate my points. Remember, the QSWP uses a point system criteria. The point system is based on 9 factors including training, work, experience, age, language proficiency, stay and family in Quebec, spouse/common-law partner characteristics, valid job offer, presence of accompanying children and financial self-sufficiency. You can go to Canadavisa.com to check your eligibility. Before, Quebec used the “first-come, first-served” system for catering applications but since September 2018 (very recently), the province modified their system. They now use an Expression of Interest (EOI) system through an online portal, which they call the Arrima portal. Follow this link to get to Arrima: https://arrima.immigration-quebec.gouv.qc.ca/aiguillage/? Applicants (18 years old and above only) first need to make an account to apply. One needs an email address to do this. After creating an account with Arrima, the applicant has 90 days to submit his/her Expression of Interest. This is valid for one year. And during that period, one can update his/her profile to increase the chances of being invited to apply for what they call the Quebec Selection Certificate or CSQ. I understand that filling up forms can be meticulous and sometimes confusing. Don’t worry, this link will help you through it: https://www.immigration-quebec.gouv.qc.ca/en/informations/arrima/tutorials.html. Once you receive your invitation to apply for a CSQ, that is the time that you have to submit your personal documents to be assessed by the government. Link to the documentary requirements can be found here: https://www.immigration-quebec.gouv.qc.ca/publications/en/dcs/documents-dcs-en-dyn.pdf. The next step is to pay some fees like the Right for Permanent Residency Fee (RPRF) and the Landing Fee. After that, it’s chill time. You will have to wait for a request for medical exam to be undergone in a partner/certified clinic which in my time includes an x-ray, urine test, blood test and a medical history-taking and physical check up by a licensed physician. If everything goes well, you will be waiting for a request for your passport for the final step which is the issuance of the visa. Oh yes, there are fees of course. From the time you lodge your application, there is a fee in Canadian dollars. Click this link: https://www.immigration-quebec.gouv.qc.ca/en/immigrate-settle/permanent-workers/official-immigration-application/cost-immigrating/fees-payment.html. If you will ask the help of professionals, you might want to add more to your budget. But before that, I leave you with this thought. Migrating is an important life decision. Thus, for it to be a positive experience, it entails some serious preparations in various aspects of your life. If you wish to land the choice that suits your current situation in life, (i.e. profession, civil status, number of children, financial capacity) as well as your long-term plans, having the right information is paramount.